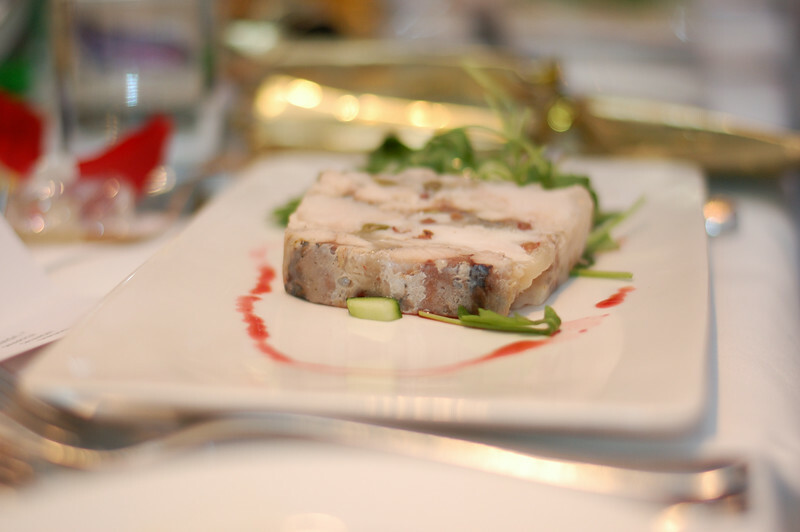 The full name of this dish is "Red Snapper and Mackerel Terrine Salsify Salad and Pomegranate Dressing”. A friend of mine suggested I take some pictures of food and desserts, and also pictures of people preparing food in restaurant kitchens. That sounds like a good idea. Please let me know if you have any other cool suggestions. I took this picture at my company’s Christmas party which we had at The Brasserie last night. I had this as my starter, and it was delicious. I was asked to be the ‘official photographer’ for the evening and I had a really great time (not just taking pictures). There was a lot of dancing and socialising going on! Actually, I gave the camera to my colleagues so they got to take lots of cool pictures too. We took almost 400 pictures, so I’ve got lots of pictures to look through today!